As the title suggest, is there a way or a script to Split plugin List by Vendor's name in Fl Studio ? i have already done this manually, but it is really a long and exhausting procedures, not to mention boring. Hehe, I'm sorting it the same way. Unfortunately, as far as I know, there is no easy way to do it but manually renaming the plugins and putting em into folders. That much C# code for what? For a sorting tool? Otherwise I can't see the reason for that ammount. to be able to have the same plugin lists on several machines. because of the displacement of the plugin database into the documents folder. Besides that it still works to easily backup & restore the database on other machines. That much C# code for what? For a sorting tool? You could be right but I think Im being conservative with the estimated 25K. A similar one which is in the works has taken almost that much. Another one but for KSD presets is over 26k also. If you have some free time and want to team up with a couple of other guys and myself to work on it I am all for it. Ye, time is the issue here but I'm very interested. That's why I refuse to use vst3 versions, I do it in a pretty similar way when I install the pluggies. That plugin list tho! picking a plugin from there is alaways an adventure. 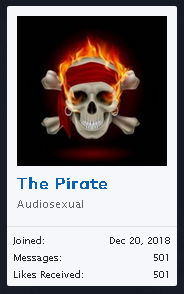 That's quite the collection you have there @The Pirate and well organised, too! VST2's are easy to organise but is it still not possible to custom sort VST3's if the DAW doesn't support it or the relevant tags aren't embedded? I did not understand your question. I would say that 95% of my VSTs are VST3. You are partly correct, if DAW does no support it or without tags embedded it is hard but not impossible. As I was discussing with another member, it will take lots of coding which equal lots of hours. Oh, right! So, how did you manage to organise them, given that it wouldn't have been a simple task such as moving them where you wanted? & Was that just in one DAW or for all DAWs? If you really install vst3s they are automatically allocated to the folders the way the developer sees fit, at least afaik. then run a plugin scan .This clears out the new plugins found list . then add the fabfilter folder into your main plugin database folder and there ya go. That is just for FL Studio. On other DAWs you need to learn how they go about sorting the plugins. Once yo got that info you can customize your plugin selection for each DAW. If everyone did it we could build a database and simply kept on adding. As I was discussing with @r4e, it some of us get together we could code an app that would automate that process for us. The VST3 are automatically installed in the Program Files\Common Files\VST3 and generally grouped by manufacturer. That is where they reside, however, the sorting out has nothing to do with that. All my VST3 are still in that folder. The sorting out is done within the DAWs system. You could be right but I think Im being conservative with the estimated 25K. A similar one which is in the works has taken almost that much. Another one but for KSD presets is over 26k also. So what I understand is that you developed a tool to organize your plugins and somehow export them to whatever format uses FL Studio internally. Is that right? That really would be hard and time-consuming. Toontrack EZMIX has a very powerful presets database browser that does that. Of course, it only manages its own presets so it's way wayy easier than what you did. Haha, I remember somebody told me that when I had 1024 posts and 512 likes. No need to explain more in the context of this talk ;) True history. I forgot to take an screenshot, too bad! @Xupito That much coding is not far from reality if we want to make one app which can work in all major DAWs is not going to be so simple. Take for example https://presetmagician.com/license/trial. When she started the project I didnt think it was going to take this much. The developer, she has almost 30k lines in it and she keeps adding more. This girl is a beast. I will check that scanner from J. That sounds like a way to streamline some of the work.